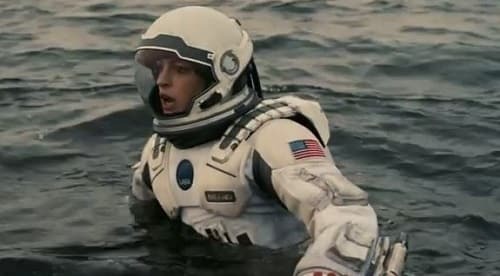 Anne Hathaway stars in Interstellar. Matthew McConaughey also stars. We used to look up at the sky and wonder at our place in the stars, now we just look down and worry about our place in the dirt. Young Murph: Dad, why did you and mom name me after something that's bad?.